The Friendship Gala is an exciting event featuring wonderful cuisine and cultural performances. The purpose of the Friendship Gala is to promote friendship and international goodwill between the people of Hawaii and the Asia-Pacific region. Festival participants are offered a unique insight into the cultures of the region through dance, song and regional cuisine by some of Hawaii’s most famous chefs and restaurants. The Friendship Gala enable the Honolulu Festival Foundation to offer enriching educational programs and opportunities to increase the global understanding and awareness of local school children. [ Ticket ] $90 / $70 those for those under 21 years of age. Includes food and one beverage. *FREE admission for those under 6 years old. Does not include food and beverage. Tickets available at Travel Plaza in Waikiki Shopping Center! When John Manjiro and Yukichi Fukuzawa on the battleship Kanrin-Maru arrived at Honolulu in 1860, King Kamehameha IV proposed a friendship treaty between Japan and the Kingdom of Hawaii. In 1865, Eugene Van Reed, a Japan-based American businessman, was appointed as the Consul General of Hawaii in Japan by the Kingdom of Hawaii. In May 1868, about 150 Japanese nationals departed the Port of Yokohama on the ship Scioto, landing in Honolulu on June 20th. 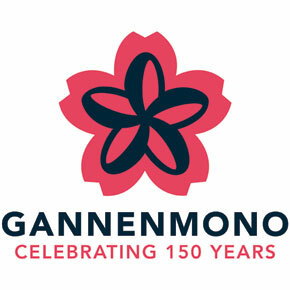 The Gannenmono (meaning “first-year folks”) were criticized in Japan because they were technically illegal travelers. In contrast, they assimilated in the local community in Hawaii very well and were highly regarded there. 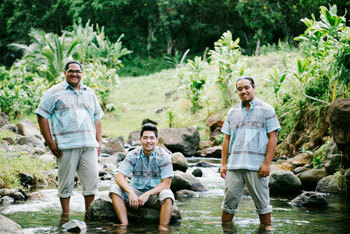 In 2008, Keauhou was awarded first place in the traditional Hawaiian music contest, “Ka Himeni Ana.” In 2017, Keauhou took top honors at the Na Hoku Hanohano awards attaining nine awards in nine categories for their debut album, “Keauhou.” Theiy Released their second album entitled, “I ke Ko a ke Au” on October 4, 2017. Sakura Komachi Japanese Orchestra band is consisted of all female members. 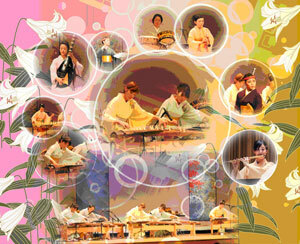 They incorporate various Japanese traditional musical instruments to play different genre of music. They are active both within and outside Japan. The year 2018 makes 150th anniversary of the Japanese immigration to Hawaii. The band will join the Honolulu Festival with the aim to promote mutual understanding and friendship between Hawaii and Japan. High level performances by Teens & Keiki, under the direction of Husband and wife, Nalani & Pono Galisa, who is Tunui’s sister. Teen team are invited to perform in Disney Land ( LA and Orlando) since 2009. They are capable of doing both hula and Polynesian performance. Tunui’s family is sharing their Hawaiian/Polynesian culture thru the dancing. Tunuis Royal Polynesian did opening performance for formal opening of Hawaii Convention Center. Vision: To see generations of people using the arts to change the world. Un Bijou is composed in three female dancers by MASAMI, MIWA, and YUMI. 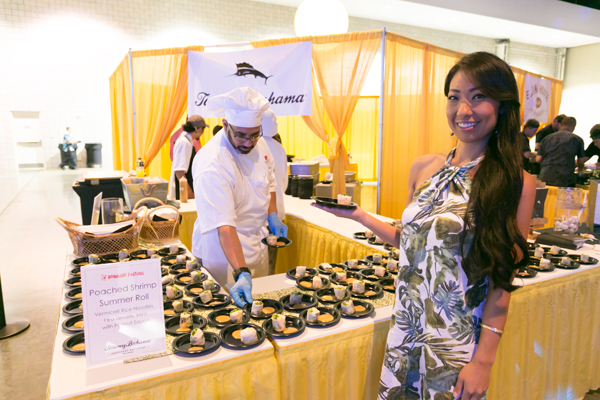 The event will also have chefs from nine exquisite restaurants in Hawaii, to offer uniquely crafted tasteful meals to guests once again.